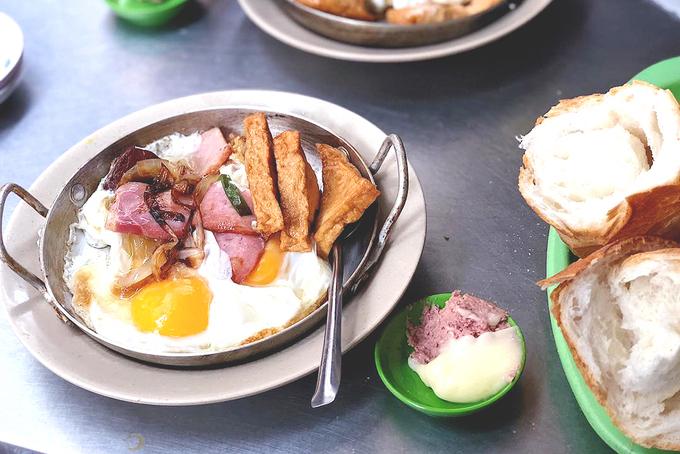 These small diners have been an essential part of Saigon culinary for decades. 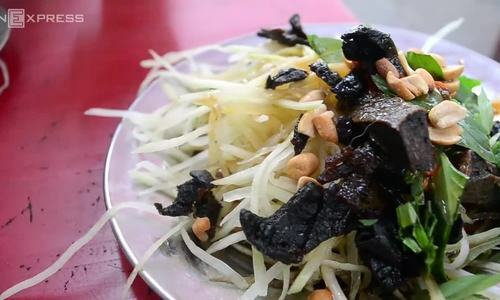 This little shop with no signboard on Nguyen Van Thu Street, District 1 is the destination of many food lovers in Saigon, serving a popular urban snack that brings together fresh papaw, carrots and dried beef, all thinly sliced and mixed with vinegar, fish sauce and dried crushed peanuts. 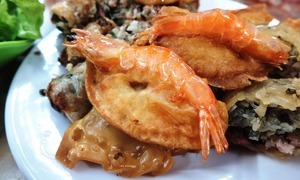 The perfect combination of sweet, sour, peppery and salty flavors costs only VND16,000 ($0.70). 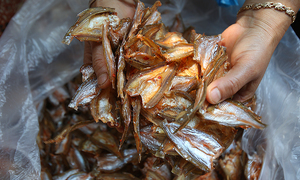 Nam, the owner, opened the shop in 1975. He has retired now and let his daughter take over the business. 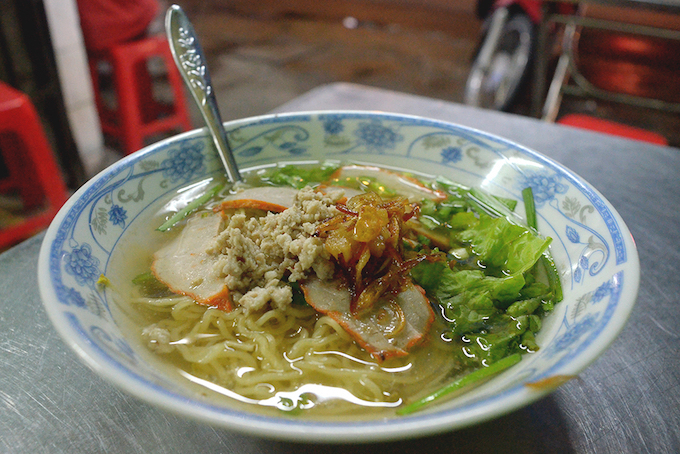 This noodle soup restaurant has been standing on Ton That Dam Street, District 1, for 70 years. 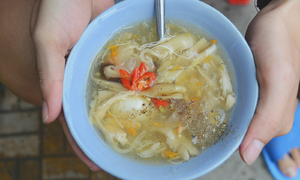 The diner serves hu tiu, a rice-based noodle which is tough and transculent, in tasty and light broth, with thin fish slices on top. 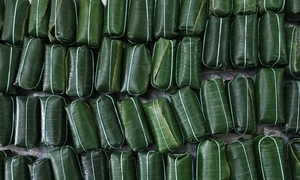 The rice noodle is served with pâté chaud, a Vietnamese multi-layer savory puff pastry, which usually sells out after 4 p.m. 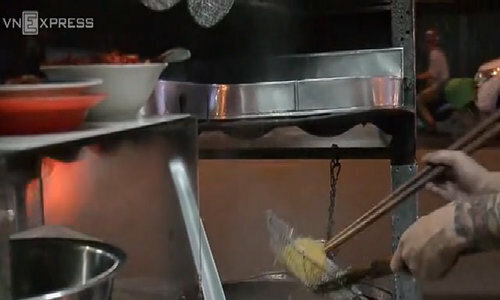 In the menu, customers can also find options for noodles with chicken or beef. 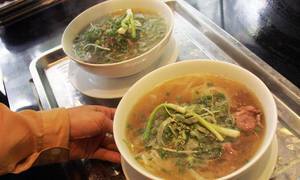 One bowl costs VND70,000 ($3.07), although, according to some customers, it will not be enough to fill a hungry stomach. 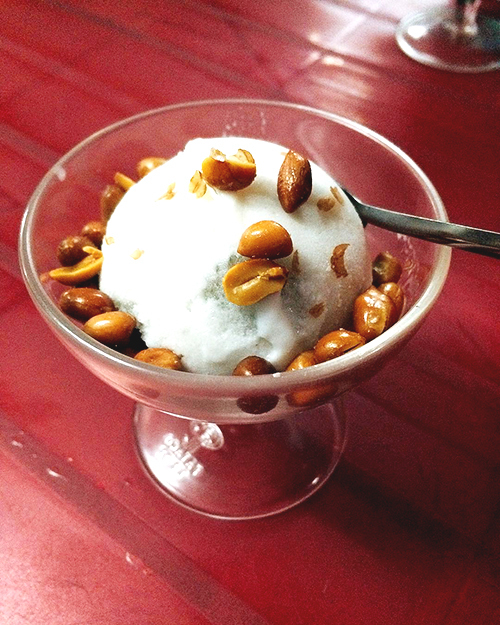 This 30-year-old ice-cream shop has been a favorite spot of many generations of Saigon students, as a cup only costs VND10,000 ($0.43), quite a deal for some freezing sweet taste of longan. 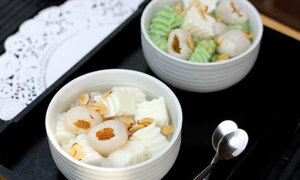 The rustic dessert can be found in Da Kao Market, on Truong Han Sieu Street, District 1. There is another ice cream shop next to Tam’s, so make sure you notice the sign. 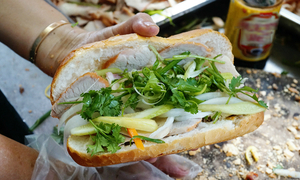 Opened in 1958, Hoa Ma is one of the oldest places for banh mi in Saigon. 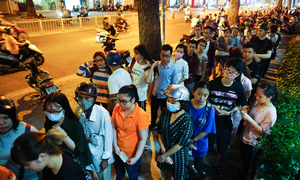 On the alley of Cao Thang Street, people can find a few plastic chairs and tables, making it a perfect symbol of street food in the city. 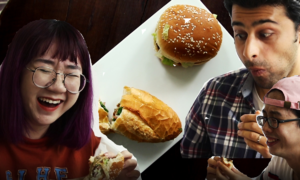 Favored by both foreign tourists and local people, Hoa Ma has many delicious dishes on their menu, from the simple ham and omelet banh mi for $1.75 to the premium version with Vietnamese pork sausages and bacons for $2.20. Both are served on a sizzling pan with pâté on the side. 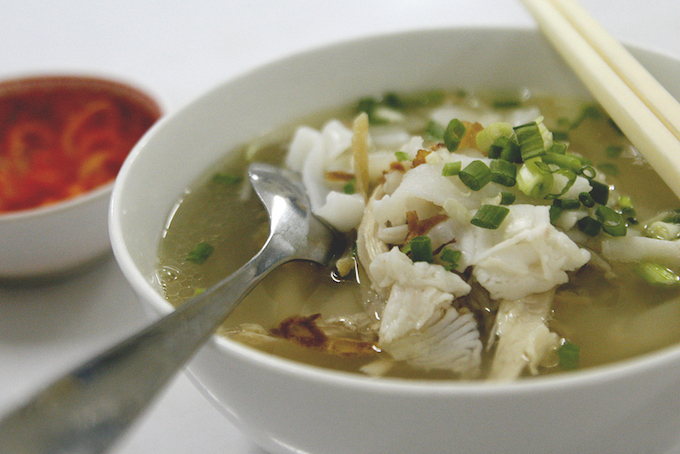 A Chinese couple couple has been selling wonton noodles at this restaurant since 1960. 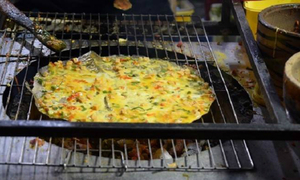 The noodle spot stands on Xo Viet Nghe Tinh Street, serves yummy noodle with well-seasoned wonton and opens 24/7. The kitchen is literally a wood cart filled with cooking tools. There are only five selections on the menu and all of them are noodles with the average price of $1.30 for one portion.